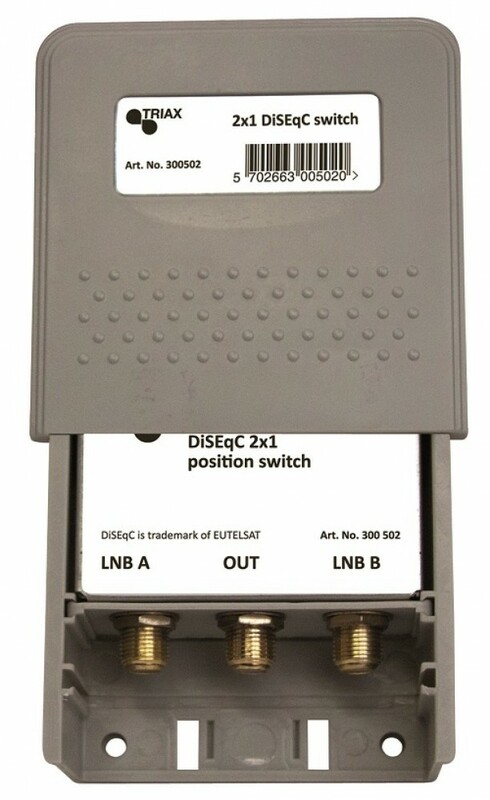 Hi-isolated switch for multi satellite installations for switching between 2 LNBs each pointing at different satellites. High isolation ensures problem-free operation in multi user installations. Available with 2 or 4 inputs for switching between 2 or 4 satellite positions. Easy installation using F-connectors for cable mounting and a releasable strap for mast mounting. Can be used with single, dual and quad LNBs.